We all know there are two sides to every argument. When writing an argumentative essay, your job is to know them both. That doesn’t mean you should argue for both sides. No—you just have to know both sides so that you can write for one most effectively. Think about it: an effective argument is one that knows ahead of time what the other side will say. By knowing the opposing viewpoint, you can be best prepared to meet whatever objections are likely to come your way. In this article, we’ll examine everything you need to know about writing an argumentative essay. We’ll give you some simple steps to follow along with a link to a lot of different topics you can choose from. There’s also an example essay below to help you see just how an argumentative essay should look! Enjoy! 8 Let Us Help You! The argumentative essay is a type or genre of writing that obliges one to research a subject, gather evidence, and use that evidence to support a specific position or argument. The argumentative essay should be clear, concise and well-crafted. It should not wander vaguely from one random point to another. It should not be wishy-washy. It should not lack confidence in its own position. So now let’s look at how to write this type of essay! To make a winning argument, it is not enough just to know your own viewpoint. You have to know the opposition as well. Compare it to a battle. What kind of army goes to war completely ignorant of the opposing forces? A losing an army! If you want your argumentative essay to win, you have to consider the other side as much as your own. So step #1 is: Pick an argument that has two sides to it that you can understand well enough to write about each side. Step #2 follows hard upon: Pick the argument you think makes the most logical sense. Step #3: Research it! Back that logic up with facts. Step #4: Research the opposing viewpoint as well—and answer at least one objection likely to be made by that opposing viewpoint. 1, 2, 3, 4—simple, right? Okay, so maybe you’re still a little uncertain how to get from A to B. Maybe you’re not even sure what A is. No worries! Let’s break it down. First—Step #1. Picking an argument is a lot like picking a fight. When you pick a fight, you press someone else’s buttons. When you pick an argument, you think of a topic that tends to polarize people. Select a topic that produces arguments. If you pick a topic in which everyone is in agreement, there won’t be anything to argue. So don’t be afraid to tackle a subject that is contentious. Picking something filled with contention is the whole point. The goal of this type of writing, after all, is to see how well you can argue a side in a debate. So once you select a topic, then what? Follow? Great. Let’s move on! That question brings us to the next step. You can’t convince anyone of your argument unless you know it backwards and forwards. And that means you need to research it! Research is so important to writing an argumentative essay because your argument HAS to be backed up by evidence. You have to support your claim with outside sources so that you can show that your argument is not just an opinion but rather a logically deduced thesis that is based on fact. (For more pointers, Purdue OWL gives some great tips). Additionally, the more you research, the more prepared you will be to face objections—which brings us to the last step. This is how you can most effectively argue like you mean it! Know your enemy! The enemy in this case is the counter-argument. You must present at least one counter-argument to your claim. Then you must answer it. This is like allowing the opposition to have some voice in the debate. The trick here is that you know what the opposition is going to say and you can prepare accordingly. If you give some space in your essay to the counter-argument and show that you both understand it and can answer it effectively, your argumentative essay will get top marks. Selecting a topic is not difficult. Just about everything under the sun can be the subject of disagreement. For instance, think about things in your daily life and how often various issues turn into arguments. Which diet is the best? What should one wear for an interview? Who would make a good president? Which religion does one observe? The list is endless. When you go to choose a topic, choose something that is of interest to you so that writing the essay will be easier. However, you can also make the writing interesting by choosing an argument that you do not even agree with at all! For instance, if you yourself are pro-choice, you could argue in your paper that a pro-life position is better for society. Or vice versa! The key is not your own feelings or opinions but rather your ability to backup your argument with facts, figures, evidence—and anything you can find. So dig into a topic that you would either like to explore or already know a lot about and would enjoy writing on it. If you’re still having trouble deciding, we have provided a bunch of argumentative essay topics you can choose from. When formatting your argumentative essay, just adhere to basic essay writing principles. Start off with an introduction. This should contain the question that you are going to be arguing. It should also contain your own position and a brief, concise description of how you are going to prove that your position is the best. The introduction should be followed by the body of the essay. Each paragraph should have its own independent thought or idea that it expresses. Within the paragraph should go everything needed to support this idea—and this idea should go to support the main claim of your essay. The paragraphs should link one to the other through transition words or phrases, and the topics of the paragraphs should flow logically from one to the next. So, for instance, if in the first paragraph you are writing about why the steering of the BMW is so excellent, it would make sense to follow this paragraph up with a paragraph about the car’s chassis and how it distributes weight so well. If you went from steering in one paragraph to the car’s interior in the next and the back to the car’s technical design, you’ll have your reader jumping around so much that it will be difficult to maintain a good flow. Organize the paper so that it flows logically! Now let’s have a look at how an outline for an argumentative essay might appear. Outlines are totally helpful ways to organize your paper. You can see beforehand how the ideas are going to logically flow from one to the other. After completing your outline you can go back and identify ways to make it stronger. You can remove sections that don’t really provide any support to the main idea. Or you can add in sections to better help bolster the main claim. Let’s say you’re writing a paper on why gold bullion is a good investment. One of the first things you might want to do is acknowledge some of the prevailing counter-arguments to this claim—such as the criticism that “gold is a 6000 year old bubble” or that “gold is a barbarous relic” as John Maynard Keynes once indicated. a. Question: Is Gold a good investment? b. Some economists and finance managers say that gold is not a good investment—that gold is just a bubble. d. Counter-Argument: The economy is not going to crash because central planners have everything under control. e. Response: The Fed may try to save the market, but its policy has allowed the system’s dead rot to stay. 1. Now that rot is overvalued according to traditional metrics. 2. Once momentum evaporates or reverses, investors who previously piled in will flee as beachgoers before a fast approaching tsunami. a. Gold may seem like a barbarous relic, but it actually has served a significant purpose for societies throughout all history. It acts as a store of wealth—a preserver of value during times when currencies are corrupted and other assets overvalued. You can see from the outline above that the three main parts of the paper are the Intro, the Body and the Conclusion. The Intro should lay out the issue and state the claim that the essay will argue in support of. It should also mention the supports upon which the claim is made. The Body is there to address these supports. It should also include a counter-argument and a response. The Conclusion should wind up the paper and bring it to a close be restating the main claim and why it is correct. Now let’s look at an example argumentative essay to get a more concrete sense of how the essay should look. We’ll use the gold claim described above as the basis of our paper. Where should you put your money? In a bank account where it can earn paltry interest? Into stocks or bonds? The former or the most expensive they have ever been and the latter barely offer any yield at all (Oyedele, 2017). Also, when one considers the fact that the Federal Reserve is now beginning a policy of quantitative tightening (following eight years of quantitative easing, which has fueled the stock market bubble), economic conditions do not appear stable—especially in light of the weak economic data emerging all over the world (Ciolli, 2017). With all this in mind, the best place to put your money may be in the one safe haven asset that has survived all manner of storms, collapses and carnages for thousands of years: gold. Some economists and finance managers say that gold is not a good investment—that gold is just a bubble. However, this paper will show that buying gold is a good way to preserve wealth for three reasons: 1) Gold keeps track with inflation, 2) Gold acts as a hedge against a weakening currency, and 3) Gold is a safe haven in times of economic crisis. Gold keeps track with inflation. It is no secret that the Federal Reserve wants to see inflation rise. That means the purchasing power of the dollar lowers. Buying an asset like gold can preserve your wealth in times like these because gold does not lose value over time. By all measurements, it still has the same purchasing power it had thousands of years ago (Roy, 2013). Gold also acts as a hedge against a weakening currency. Thanks to the Fed’s policy of Quantitative Easing, the national currency has weakened: so much excess money has been printed that the value of that already in circulation has dropped. As gold is priced in USD, diversifying out of a weakening dollar will drive the price of gold up. Likewise, gold is finite rather than infinite (like fiat money). That means there is only so much of it in existence—and the laws of supply and demand ultimately determine its price, which is just not the case for the USD, since the Fed is in total control of its supply and can enlarge it ad infinitum. And that point brings us to the greatest reason, gold is a good investment in troubled times: gold is a safe haven. With the increasing risk of economic instability brought about by too much debt, easy credit and central banking intervention, gold is seen as a safe haven. The stock market could crash, and in the case of rising volatility, investors seeking stability will turn to hedges like gold (Balarie, 2017). The counter-argument to gold as a good investment is that the economy is not going to crash because central planners have everything under control. The Fed will not let stock markets fall so drastically that investors flee. Valuations are high but stable. Proponents of this type of logic are economists like Paul Krugman, who see the Fed as a kind of saving grace for the market. The fact is that the Fed may try to save the market, but its policy has allowed the system’s dead rot to stay. Now that rot is overvalued according to traditional metrics. Once momentum evaporates or reverses, investors who previously piled in will flee as beachgoers before a fast approaching tsunami. In conclusion, gold may seem like a barbarous relic, but it actually has served a significant purpose for societies throughout all history. It acts as a store of wealth—a preserver of value during times when currencies are corrupted and other assets overvalued. So what can we learn from this example? First, it starts off by setting the stage—i.e., it asks a question. This question frames the essay and gives the reader an idea of what the paper will be about. Asking a question is a great way to snag your reader with a hook. The reader says, “Hey, that’s a good question!” and then continues on to see what the answer is. The rest of the paper does not fail to deliver. It keeps that question in mind. The thesis of the essay clearly shows how the paper will answer it. Each subsequent paragraph addresses one of the three main points identified in the thesis statement. And the essay concludes by summing up the main point of the paper. In short, the question is thoroughly addressed. Plus, the paper refers to outside sources to back up its claims. This is a great way to lend credibility to your argument! 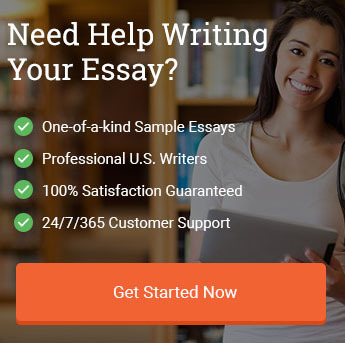 If you’d like help with your essay writing, let our model essay writers work for you. Our service is designed to get you the help you need so that you can pass with flying colors. How do we do it? We provide excellent model papers that are tailor-made to fit your unique needs. Have an essay question that you’re not sure how to answer? Have a pile of research material that you can’t seem to get through? Supply us with the parameters of your paper and we do the rest! Learning by example is a great way for understanding to take place. Many students fail to get ahead because they are never given a sufficient sense of how their essay should appear. Our model essay writers take your topic and write a customized essay just for you. Use it as an example to help when it comes time to write your own. If you were going to change the oil in your car for the first time you’d watch someone else do it first—wouldn’t you? With writing, it’s the same thing. Give us a try. The argumentative essay is a great way to flex your intellectual muscle. You are the boss of the argument and your job is to make sure everyone sees that your way is the best way. But you can’t just cudgel them over the head with facts or bully them into seeing things your way! You have to appeal to reason. You have to give them good reasons to come over to your side. Three solid reasons should be sufficient. You should also acknowledge an objection that the opposite side would likely make and give a response to it. When you go to pick a topic, be sure it is one that stirs up debate. A popular topic that polarizes is always a good idea because there will be plenty of research that you can do. Pick something timely or relevant to today’s world. Base your claim on logic and show why your claim is more logical than any other argument that can be made. Remember: an argumentative essay is not a persuasive essay! There is a difference. In a persuasive essay, you are trying to persuade through any means possible: you appeal to reason, emotion, narrative, etc. However, with an argumentative essay, we are looking for mainly rational approaches. We want to see how well you can argue a point based on evidence. Using the example essay provided above, you can see how whenever a point is made, a source is referenced to back up that point. In other words, the argument is founded not on opinion but on evidence that can easily be checked by the reader. This is why links to the material you use are good: they provide the reader with a way to check up on what you have said. Feel free to use the links provided above to do the same! Don’t hesitate to go back over your outline and essay again and again until it is fine-tuned and ready to rock. Editing is one of the most important processes in writing—so don’t forget to do it! Sometimes all it takes to make your essay perfect is a simple revision. Just correcting spelling and grammar mistakes can lift your essay up a whole letter grade in a lot of cases! Good luck to you! "How to Write an Argumentative Essay [4 Easy Steps]." Aceyourpaper.com. Student Network Resources Inc, 18 July. 2017. Web. 19 April 2019. Student Network Resources Inc. "How to Write an Argumentative Essay [4 Easy Steps]." Aceyourpaper.com. https://www.aceyourpaper.com/essay-writing/argumentative-essay/ (accessed April 19, 2019).